Leinster have signed back James Lowe from Super Rugby side the Chiefs and have announced that Ireland second row Mike McCarthy is to leave the province. Lowe, 24, has made 39 appearances for the Chiefs, scoring 18 tries. Lowe has also represented the Maori All Blacks on five occasions, crossing for six tries, including one against Munster at Thomond Park in November. McCarthy, 35, will leave Leinster to join French club RC Narbonne at the end of the season. The lock has played 75 times for Leinster since joining in 2013 from Irish interprovincial rivals Connacht and won a Pro12 title in his first season, lining out in the number five jersey in a 34-12 win over Glasgow Warriors at the RDS. McCarthy has won 19 Ireland caps since making his debut in August 2011 against Scotland in a Rugby World Cup warm-up game. He was a late call up to the Ireland squad at the 2015 Rugby World Cup. "Since Mike joined Leinster from Connacht in 2013 he has been a key figure in the dressing room. He has made a huge impact during his four seasons at Leinster and has always been fully committed when he pulled on a Leinster jersey," said Leinster head coach Leo Cullen. "James is a quality and relatively young outside back that we have been tracking for some time so we are delighted he has agreed to join us," he added. 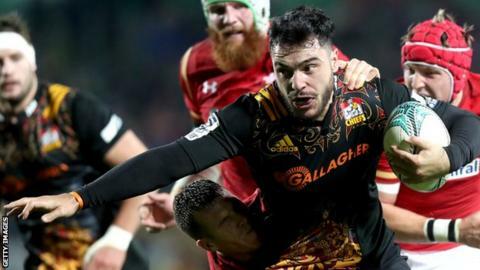 "We believe he will greatly add to the outside backs that we have and provide good competition in the squad as we look to remain competitive in both the Pro12 and the Champions Cup. "We look forward to welcoming James to Leinster and seeing him out on the field representing the team once his commitments in New Zealand come to a close." Lowe made his Super Rugby debut in 2014 against the Crusaders and scored a try after coming on as a substitute. Since then he has added a further 17 tries to his name and has already scored three tries in the first two rounds of the Super Rugby season. He will join up with his new Leinster team mates after the conclusion of the 2017 Mitre 10 Cup campaign which he will play for his home province Tasman. "Everyone knows about Leinster and what they have achieved over the last eight years or so but I have also spoken to a few people that I know in Leinster and they have nothing but positive things to say about the club and city," said Lowe. I also really enjoyed my visit to Ireland with the Maori All Blacks last year. Lowe's signature comes on the back of news last week that Leinster had secured the services of Australian forward Scott Fardy ahead of the 2017/18 season.